UPDATED July 27/10 — Links to key references can be found at the bottom. More source docs will be uploaded as time allows. 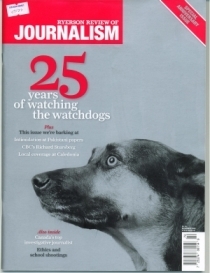 In the meantime, bonafide journalists can contact Mark Vandermaas for supporting docs: info@voiceofcanada.ca. CUPE 3903 leader Tom Keefer first became known to CANACE due to his June 23/09 attempt to orchestrate a vicious smear campaign, with help from numerous other groups, to falsely link CANACE founders and Doug Fleming to neo-nazis and white supremacists. 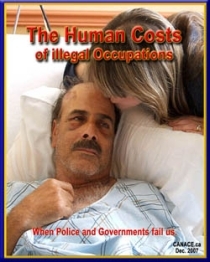 We subsequently learned, from his own words videotaped at a Cayuga protest, that he and CUPE and 0ther groups have been supporting the DCE occupation ever since the April 20/06 failed OPP raid. 1. SUPPORTING ORGANIZED CRIME – Mohawk Warriors: Keefer and his associates have been supporting native militants in Caledonia ever since shortly after the failed OPP raid of April 20/06 on the occupied Douglas Creek Estates – when police were attacked with weapons that included axes, clubs, socks filled with rocks and a chainsaw when they tried to enforce a court order to remove the occupiers. According to the OPP, DCE was controlled by the Mohawk Warriors which they considered to be the equivalent of the Hell’s Angels crime gang. 2. 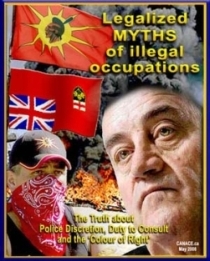 SUPPORTING ORGANIZED CRIME – HMF: Keefer and CUPE are “working closely” with the Haudenosaunee Men’s Fire which a Superior Court judge stated was engaged in Extortion, Intimidation, Nuisance, Trespass and Inducing Breach of Contract. The judge also stated that the HMF launched an angry racial attack vs. the owner of the property in nearby Hagersville. He also stated they were subject to the rule of law like everyone else. 3. CALEDONIA BY-PASS BLOCKADE Keefer writes that members of CUPE 3903 were “present on the barricades” when native militants from Six Nations blockaded the Highway 6 by-pass in Caledonia in April 2008 in order to force the OPP into backing away from enforcing the law against Shawn Brant’s Mohawks in Deseronto. Members also contributed financially to this illegal action, and helped make a 5 minute video which was posted on YouTube. It is believed to be Tom Keefer who is conducting the interview with the leader of the blockade. 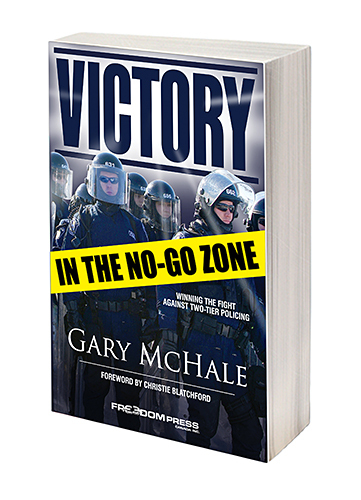 CANACE founder Gary McHale attempted to file a private prosecution for Terrorism under the Criminal Code of Canada, but was informed that the laying of the charge required consent from the Attorney General of Ontario. 4. UNION SUPPORT FOR ORGANIZED CRIME: Keefer and CUPE 3903 work with many different unions who financially assist their work in supporting the HMF militants including locals from CAW, OPSEU, CUPE, and USW. 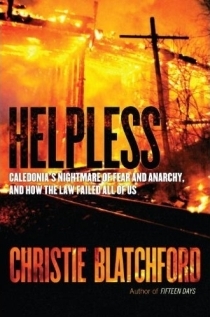 The anarchist group Freedonia, whose money found its way to Windle/TRUE, also made a direct grant to the group Caledonia Friends. Freedonia also made a direct grant to a radical, left wing community newsletter in Toronto. 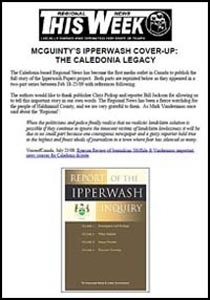 One of the key writers was an invited speaker at Keefer’s June 23/09 Cayuga protest, and wrote an article claiming that the organizer of the Caledonia Militia was a white supremacist. The organization’s MySpace page provides a list of its “heroes” which include: Mao; Marx; Lenin; Che Gueverra; Fidel Castro; Malcom X; The Black Panther Party and Hugo Chavez. The page author’s occupation is listed as “Full Time Revolutionary. ‘Friends’ include: ‘Free Palestine’ (whose background image is a bunch of AK47s with a logo showing Che Guevera under the slogan”Palestina LIBRE”; ‘Revolutionary Love’ (with a background of handguns) who also admires Mao Tse Tung, Che and the Black Panthers); and a page devoted to freeing Leonard Peltier, who was convicted of murdering two FBI agents during a 1975 shootout at a U.S. Indian reservation. 6. 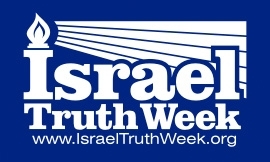 WORKING WITH ANTI-ISRAEL GROUPS: Another group working with Keefer in Caledonia and Brantford is the Christian Peacemaker Teams, an international organization that takes sides with those engaged in violent resistance against states they deem to be oppressing indigenous people which is why they support the radical native groups in Caledonia/Brantford. They show no concern whatsoever for the innocent civilian victims of this resistance, whether they are in Caledonia or in the Middle-East. For example, the CPT does NOT promote peace by advocating for the victims of Hamas suicide bombers or missiles, they claim to be concerned about protecting Palestinians from the Israel Defence Forces trying to stop the terror. The CPT’s FAQ page for their Palestine mission actually downplays the genocidal Hamas Charter which has been condemned by the United Nations for its commitment to jihad in order to destroy Israel. Q5. Are all Hamas Muslims suicide bombers? Hamas is a religious renewal movement in Islam that was initially supported by Israel as a way to balance Fatah. Hamas also has major social service programs in the refugee camps. There is a small military wing of Hamas. The Hamas charter rejects all peaceful solutions and makes it clear that the goal that the goal is Jewish genocide. Tom Keefer responded to my CPT criticism by saying, “Last time I checked, Hamas was the democratically elected government of the Palestinians and the CPT tends to promote peaceful dialogue with all parties […] I take it you are aware that Israel has been condemned…by the UN as well?” Personal experience in Caledonia with CPT members is that their idea of “peaceful dialogue” about the role of native militants in causing the suffering of Caledonia’s victims (whom they support) is to obfuscate and downplay the facts in the same manner as their dissembling with respect to Hamas. 8. ECONOMIC WARFARE: In a document entitled Declaring the Exception Keefer laid out a plan showing how economic warfare against Brantford could force the government to grant natives (presumably to the HMF and the Mohawk Warriors) an area which would not be subject to Canadian law. 10. 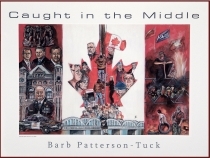 CLOSE TO THE VIOLENCE: Between November 03-04, 1999, while a student at Concordia University in Montreal, Keefer participated in protests during which protesters pushed through a police line and two police officers were injured. He and another man, Frederick Stom were arrested for refusing to stop using a megaphone. Keefer claims he had nothing to do with the violence, and that the charge of Mischief laid against him was dismissed by a judge. VoiceofCanada was contacted by Mr. Stom who provided a link to a 2005 Le Devoir story about court decisions related to noise bylaws. The story indicates that both Stom and Keefer were acquitted of the Mischief charges because the courts held the by-laws were un-constitutional. See also, Mr. Stom’s comment below. 11. 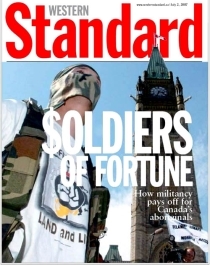 CLOSE TO THE VIOLENCE, PART 2: In February 2001 Keefer is alleged to have been part of a crowd which overturned tables at a university job fair belonging to CSIS and the Black Watch (Canadian Forces). He denies doing overturning the tables, and says the investigating body did not find him guilty of doing so. We have not been able to verify his statement, so we do not know if he was exonerated, or if the matter was dropped after he was expelled (see next entry below) on August 20/01. 12. EXPELLED OVER ALLEGED DEATH THREATS: Keefer was expelled from Concordia University in 2001 along with another student Laith Marouf over allegations that he uttered death threats against the guards who were trying to arrest Marouf who had spray-painted anti-Israel slogans on a wall. This was during a climate of intense anti-Israel hostility by Muslim students which was supported by the Concordia Student Union on which Keefer served between 1999-2001 as Vice President Communications. Keefer claimed he was again being targeted for charges by the administration. He provided Jeff Parkinson with a copy of a 24 page defence document submitted to Concordia but refused to allow it to be published. A photo of Keefer and Marouf with their arms around one another can be found at at this link (scroll down). Regional News, Gary McHale column, Nov 04/09: Have you heard of Tom Keefer? Note – I will be pleased to supply bonafide journalists with PDFcopies of CUPE docs should URL’s be no longer active or contents of docs appear to be altered. 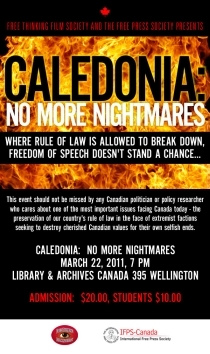 Canada Free Press, March 26/10: Democracy Caledonia Style – Who Will Speak Up? 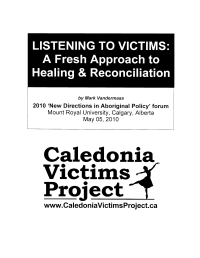 In order to build on his extensive experience as an activist and founding member of CANACE in opposing and documenting racial policing on behalf of victims in Caledonia since October 2006, Mark Vandermaas left CANACE in February 2010 to independently focus on education and policy research/discussion regarding the adverse impact of present aboriginal policies with the goal of ensuring the lessons learned from the victimization of innocents – both aboriginal and non-aboriginal – during land claim disputes are fully represented in policy debates seeking long-term solutions to healing and reconciliation. Mark maintains a close working relationship with CANACE, and continues to participate in protests on behalf of the victims of racial policing. He continues to endorse CANACE principles respecting protection of the rule of law and human rights. This entry was posted in 1. 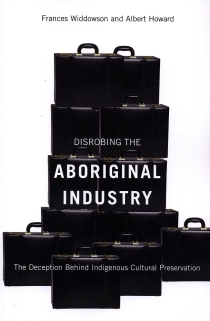 VoC's MOST IMPORTANT POST, Aboriginal policy, Anarchists & Unions in Caledonia, Caledonia Players, CANACE, Christian Peacemaker Teams, CUPE, CUPE 3903, Disrobing the Aboriginal Industry, Doug Fleming, Haudenosaunee Mens's Fire, How low can they go?, Land Claim Industry, Mohawk Warriors, MUST SEE, Native Protests - Caledonia, Native Racism, One Law for All!, Planet Earth calling, Racial Justice, Racial Policing, Racial Profiling, Six Nations, Tom Keefer. Bookmark the permalink. 10. CLOSE TO THE VIOLENCE: Between November 03-04, 1999, while a student at Concordia University in Montreal, Keefer participated in protests during which protesters pushed through a police line and two police officers were injured. He and another student were arrested for refusing to stop using a megaphone. Keefer claims he had nothing to do with the violence, and that the charge of Mischief laid against him was dismissed by a judge, but has not sent us documents to help us verify that claim. I have just sent you a link to a newspaper Le devoir Montreal real paper that is about to people that used the keefer stom judgement a judgement that cleared both of the charges you claim against Keefer. I was at that protest and was arrested with Mr. Keefer. I was not a student but the General manager of the Concordia student union and was in no way violent. In this instance you are very wrong in the claims you are making and now have no reason to keep saying them as I have sent you the link that gives proof of the claims that Mr. Keefer and myself were cleared under appeal. Thanks for your attention to this matter. 1. I apologize for not getting your comment up sooner, but it went into my spam file for some reason and I only found it recently and quite by accident because I don’t usually check it. 2. Thanks for sending the link to the Le Devoir story. I have revised the story with the new information it provided and inserted a link to it. 3. Just to be clear, my story was written AFTER exchanging a number of emails with Tom Keefer to get his side of the story, and reviewing media/university/court docs. Keefer himself did not provide a link to the story (he may have not known about it) which is why I reported what I knew – that he was charged, claimed to have been cleared, but didn’t provide evidence. The only claims I made about Keefer were 100% accurate. Your De Voir story actually confirms what I had already reported. Although I am not an unbiased journalist (and have never claimed to be) I do pride myself on getting facts correct – something which has been recognized by more than one professional journalist. Much as I dislike Tom Keefer’s actions and his group’s attempts to smear me/us with false allegations and innuendo, I will not do the same to him. In fact, when some facts related to his expulsion from Concordia were misreported by an associate of mine (due to some errors in another writer’s account of events) I worked with Keefer to make sure that the story was corrected on that site ASAP.